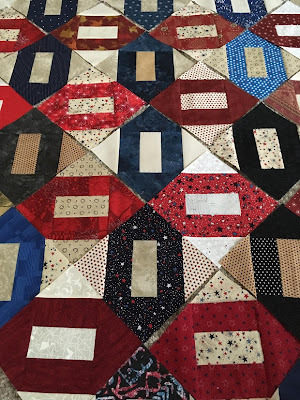 Last week, I posted about a quilt UFO that I adopted from LeAnn H. LeAnn had all the background fabric cut, so I prepared blue and red scraps for the stars and created red and blue versions of the blocks. 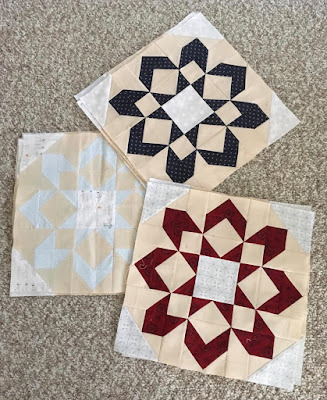 I made three blue and three red blocks and have fabric cut out for three more of each color. The blocks will finish at 16 inches. 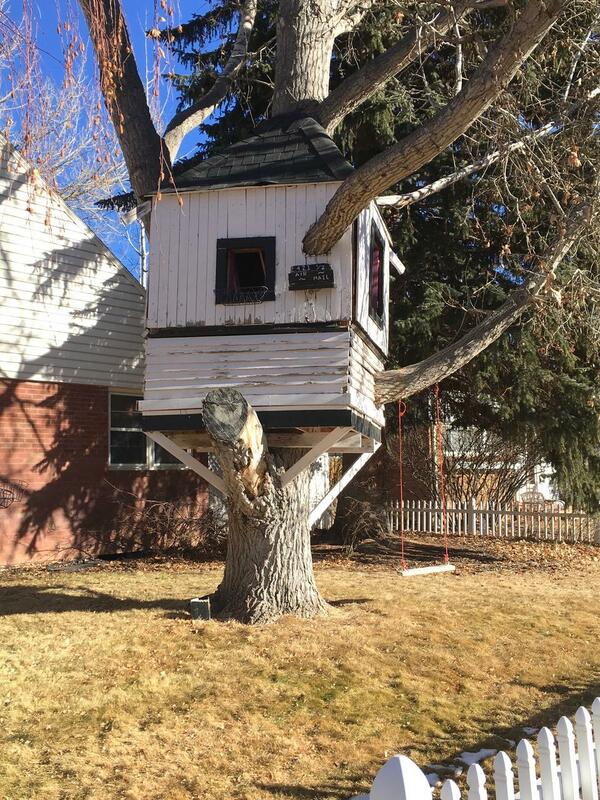 This cute tree house is near my church, and I see it nearly every Sunday. 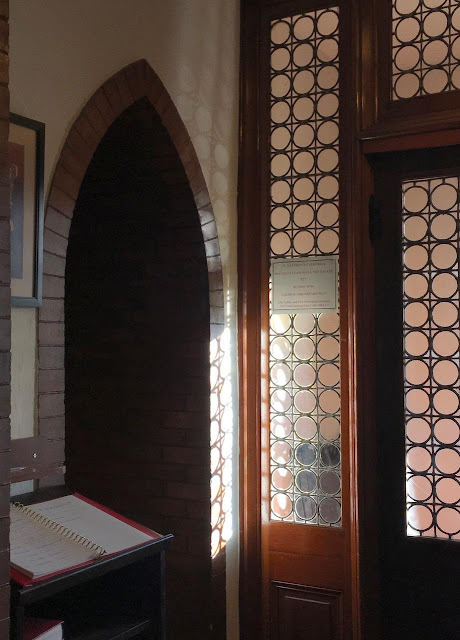 Last week, my eye was drawn to the sign by the window and nearly laughed out loud: it says, "421 1/2 Air Mail." The swing is a nice addition to this play house. Wouldn't it be fun to see the street through those windows! 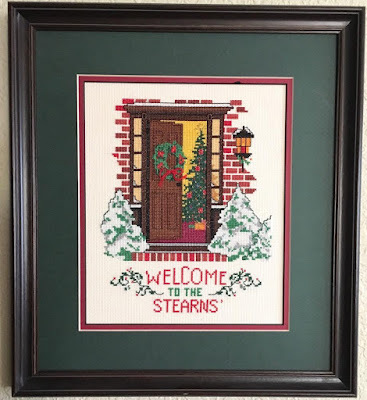 Last week I received a box from LeAnn H. in California. 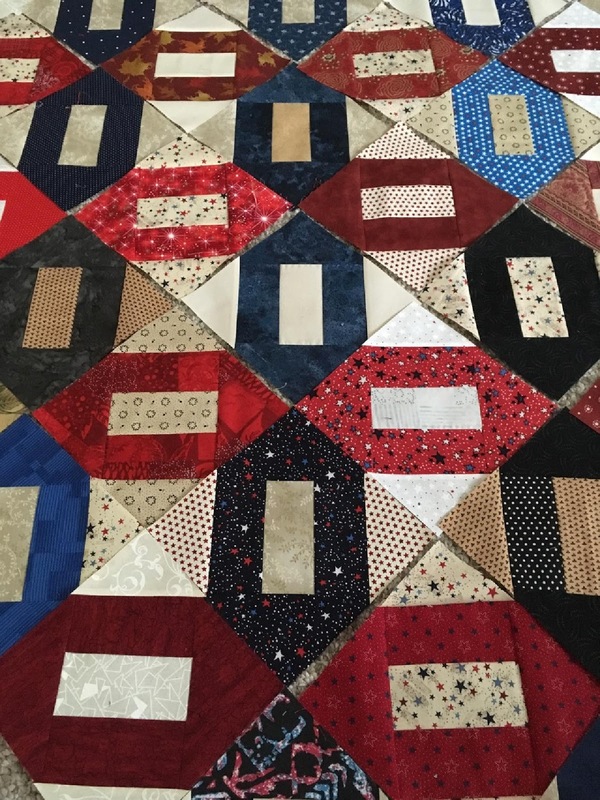 She contacted me in July and asked if I would be interested in finishing one of her quilting UFOs (unfinished project) for a Quilt of Valor. I accepted her generous offer, but told her that I was moving and things would be unsettled for a bit, so she agreed to send the package later. 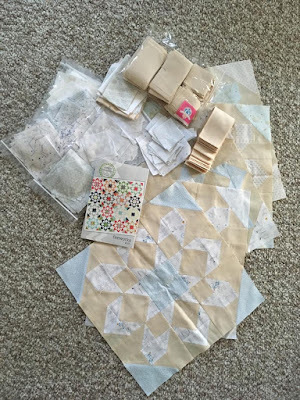 The UFO included five finished blocks, fabric (cut and separated for individual blocks), and the pattern. It is a treat to have everything cut and ready to sew. 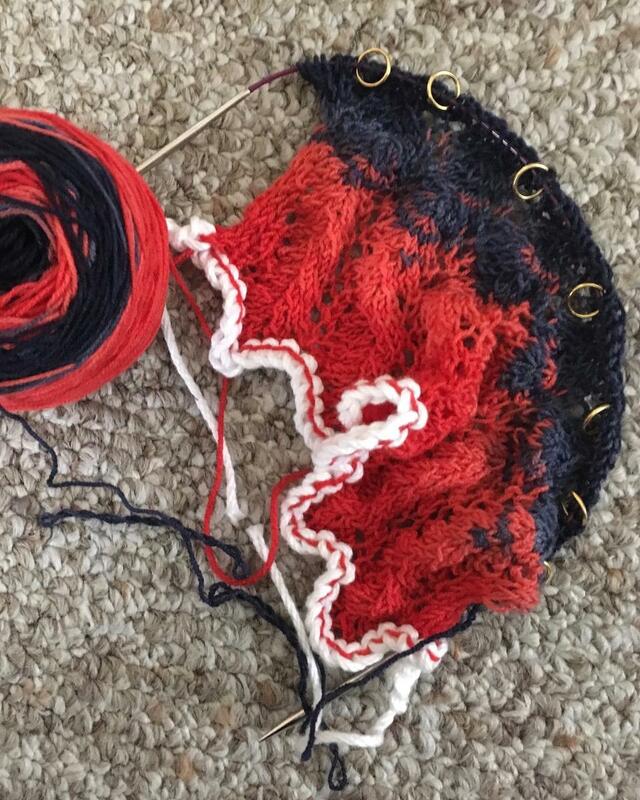 I will be adding some red and blue fabrics to the kit to make it brighter and more patriotic. The package also included some additional fabric and two large orphan blocks. I will turn the orphan blocks into doll quilts and donate them and a couple of dolls to the local Toys for Tots drive next December. 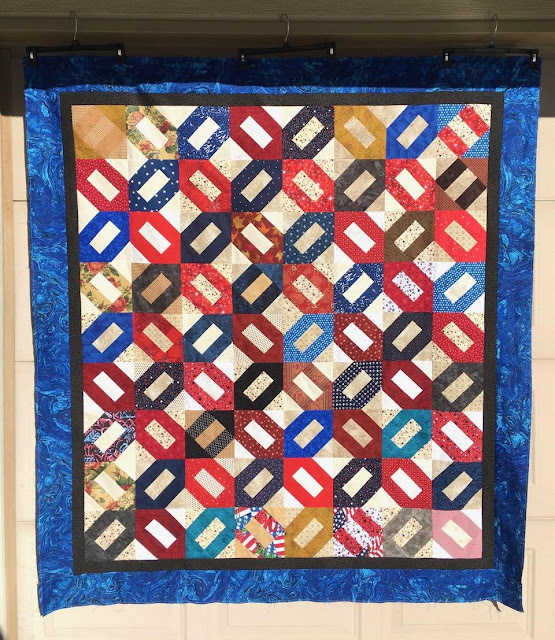 LeAnn, thank you for allowing me to adopt your UFO project to make a Quilt of Valor. 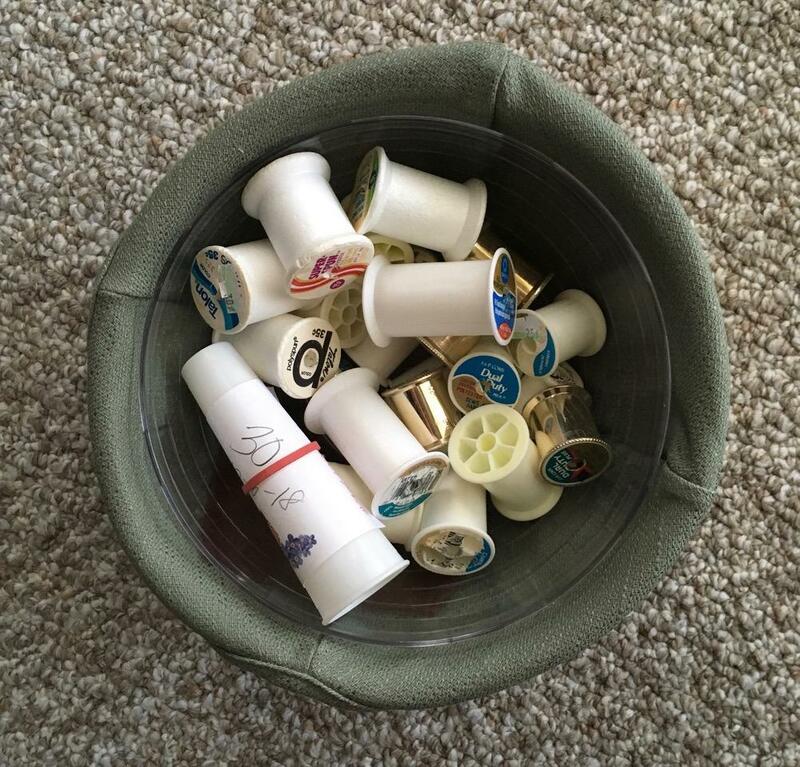 Compared to 2017, my thread usage was down by 18 spools. 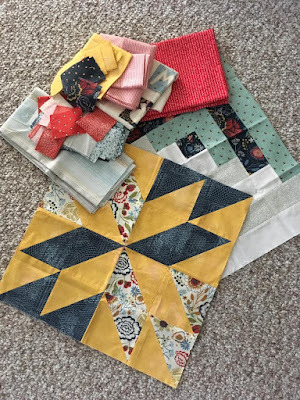 Yet, despite moving across the state and not sewing for more than a month, I actually accomplished more this year, completing twenty-two Quilts of Valor and two personal quilts. 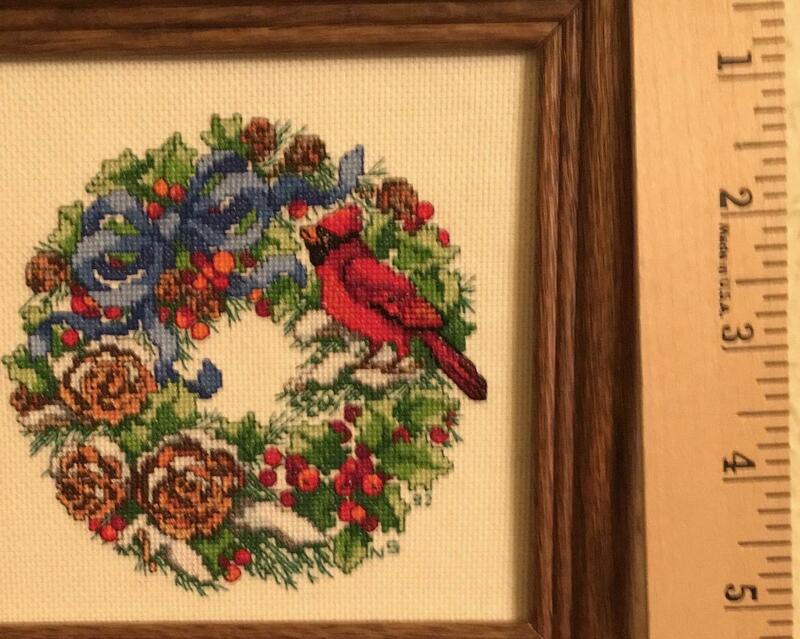 Counted cross-stitch was my craft of choice in the 1980s and 90s. 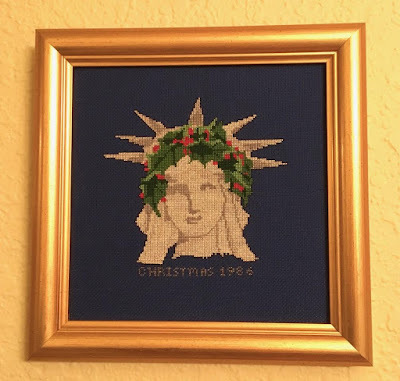 A few holiday pieces are framed and hanging in my apartment. 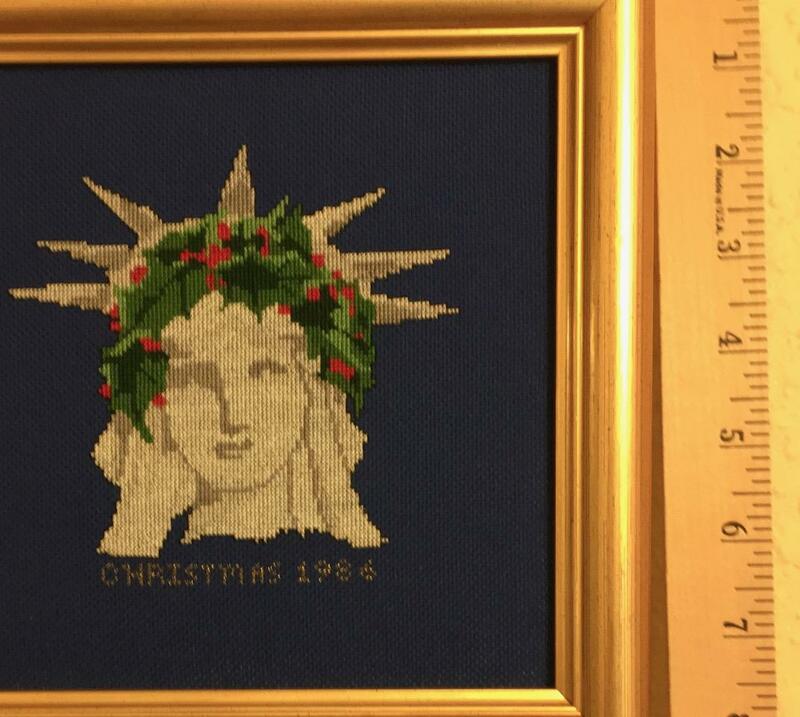 The holiday Statue of Liberty design commemorated her Centennial. The pattern was published in a craft magazine, and I stitched it on 22 count navy Aida cloth in July 1986. 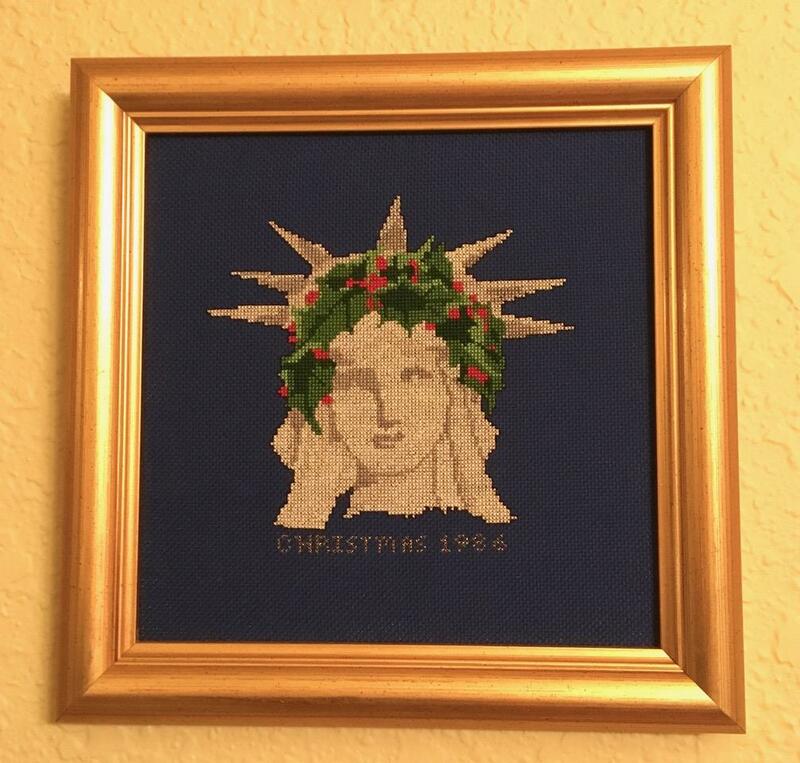 She is one of three holiday pieces I stitched on 22 count cloth. The second piece is a holiday wreath. 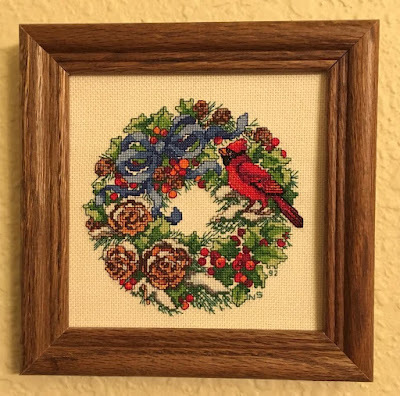 I had planned to stitch a wreath for each season, but for some reason that did not happen. 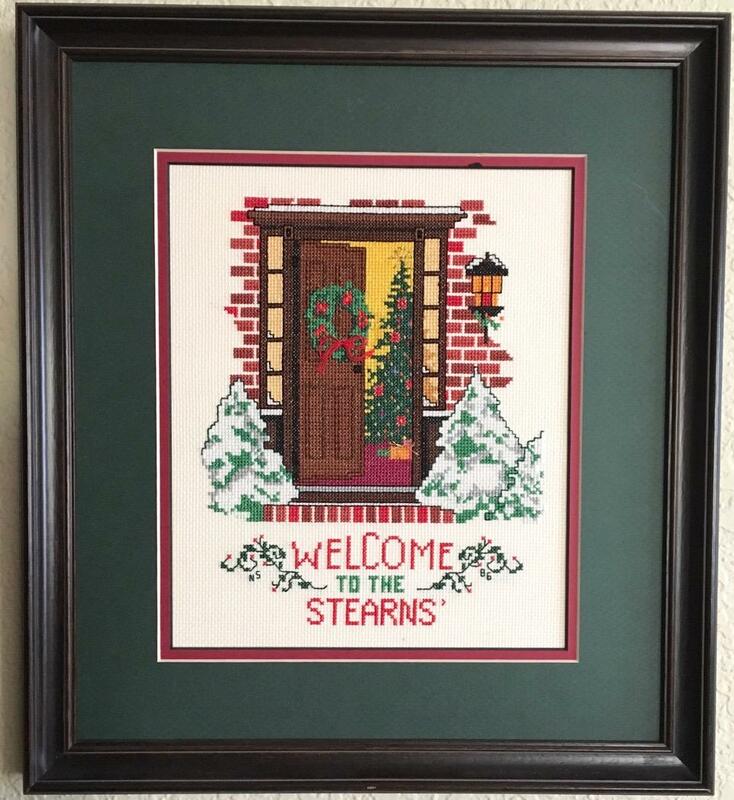 Another holiday picture stitched on 22 count Aida cloth can be found here. I haven't done any counted cross-stitch in years. I enjoy it, but my eyes aren't what they used to be. 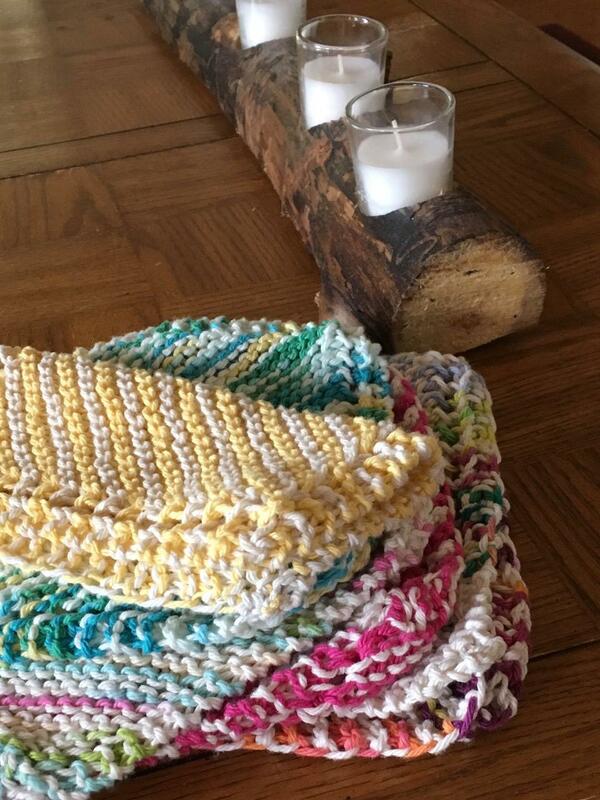 Lately, I've been focusing on practical knitting. I had several small balls of scrap dishcloth cotton, so I paired them with solid white or cream to create striped dishcloths for Marilyn and Brenda. I use the Magic Knot to join the scraps and to make a larger ball of yarn, but I don't trim the yarn close to the knot: I leave about a half inch tail. 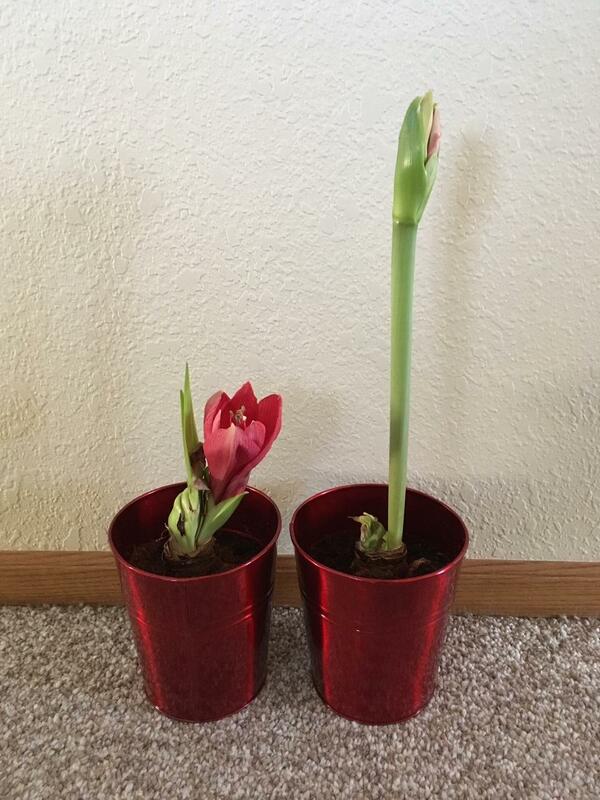 When I returned from Colorado, I was surprised the short amaryllis plant was in full bloom and had grown a tall leaf. Even though its growth is unconventional, the plant fulfilled the guarantee on the box: it bloomed. 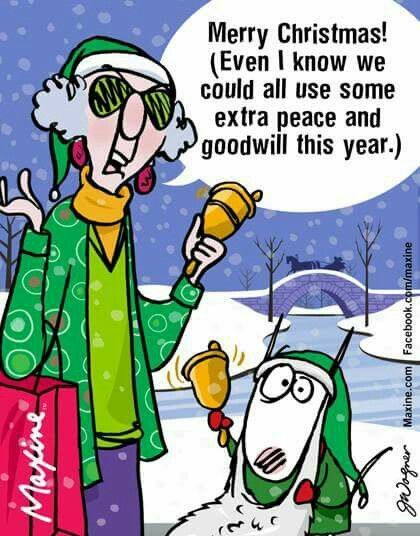 Brenda and Marilyn host a cookie/ornament exchange every year, and I was able to attend last week. 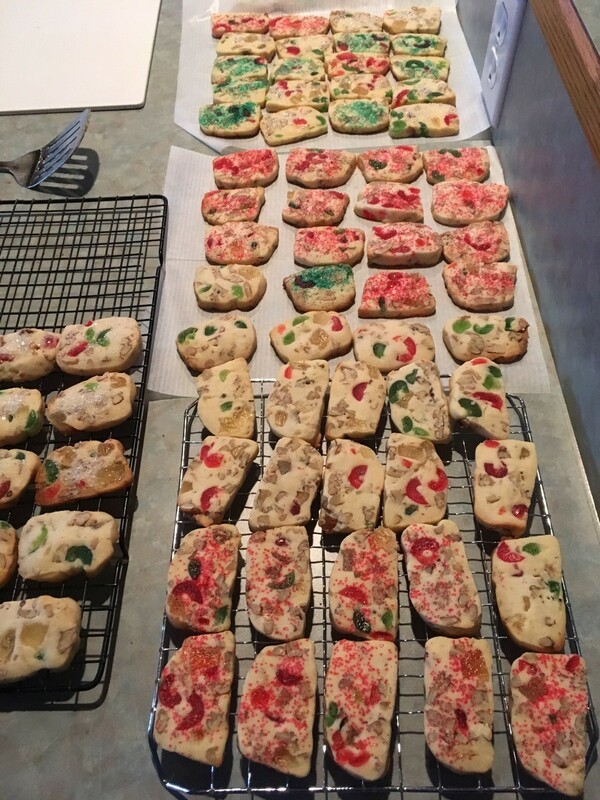 A few days before the party, I dusted off the cookbook and fired up the oven to make eight dozen cookies for the exchange. 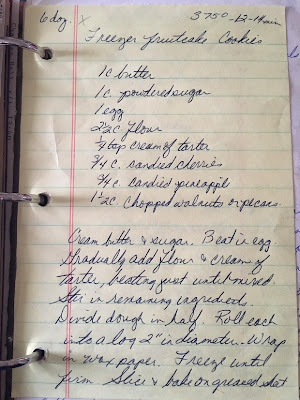 The cookies can be made with margarine or butter - I used both and could not tell the difference between the batches. The cookies are not sweet and go well with a cup of hot tea. 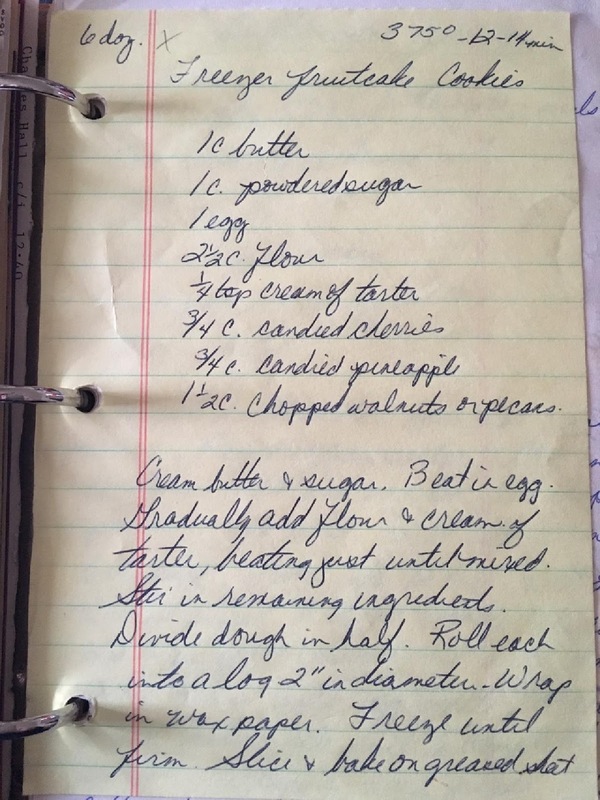 note: even though the recipe says it makes six dozen, it actually makes closer to four and a half dozen. I also cut the cherries and pineapple in half before mixing them into the dough. Did you ever have a photo taken with Santa? I found the rock one, cold, winter day when I was walking the ditch bank along the county road (Teacher's Road) north of Pavillion. 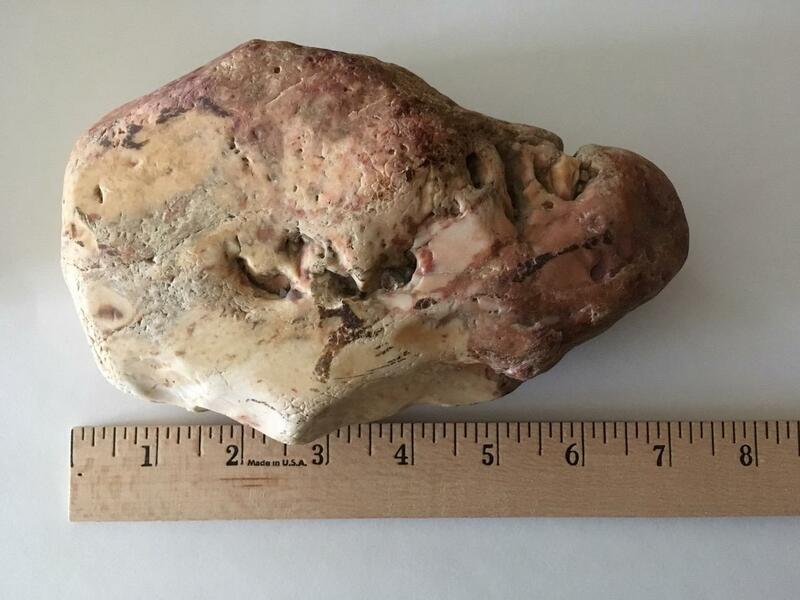 Its color and shape caught my eye; however, when I looked closer, I found the rock intriguing. My imagination saw a flattened skull and a couple of teeth. 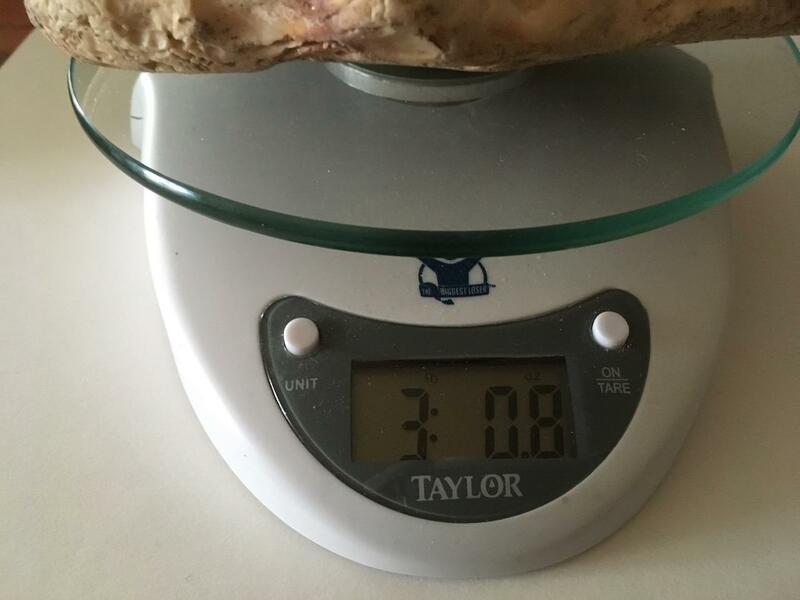 The rock has some heft to it, as well. 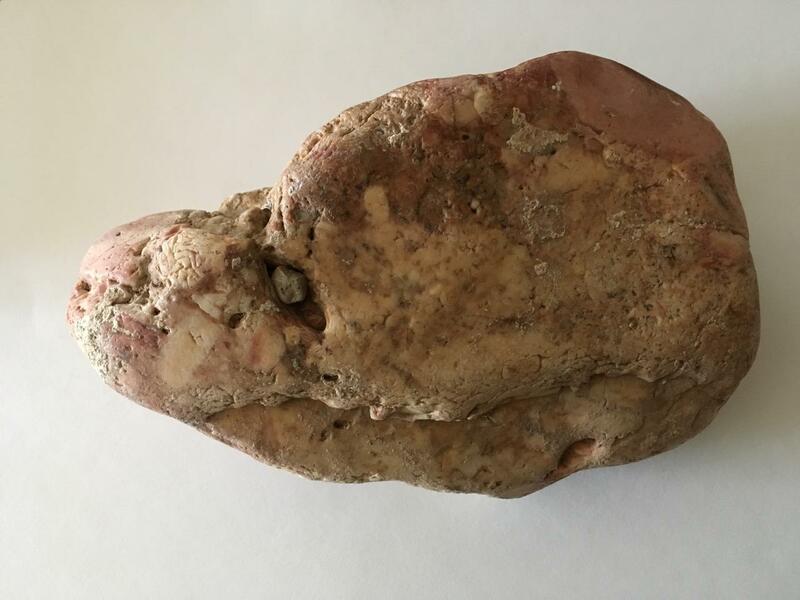 My Mom would probably have called this rock a Leaverite (as in "leave 'er right there"), but I picked it up that cold, winter day and through the years, it moved with me from the farmhouse, to the house in town, and now to my apartment. 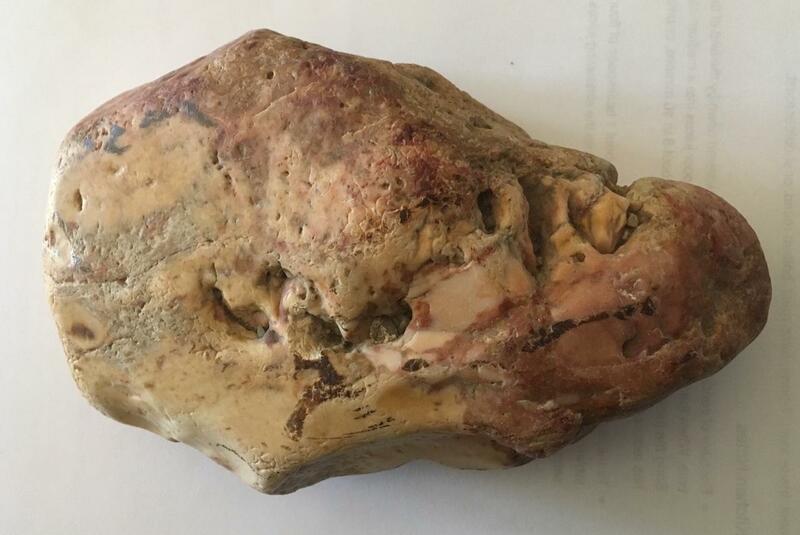 Perhaps, one day I will release the rock back into the wild, but for now, it is an interesting door stop. 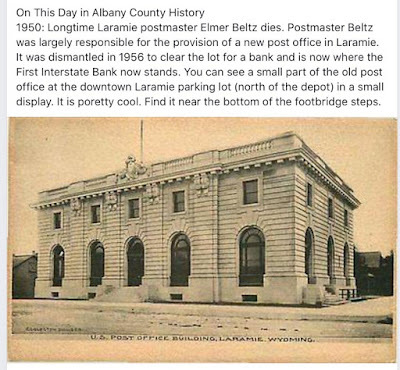 Last week on FaceBook, the Albany County Historical Society shared the origin of the stone carving I shared in this earlier post. The stone carving was the from the top of the old post office on the corner of Grand and Ivinson Streets. The photo in the article was not dated, but the building was dismantled in 1956. It seems odd that the display in the parking lot on First Street does not have a plaque that identifies the carving, but thanks to the FaceBook article, the mystery has been solved. Remember the story behind the amaryllis bulbs that I purchased in November? It appears the bulbs continue to surprise. 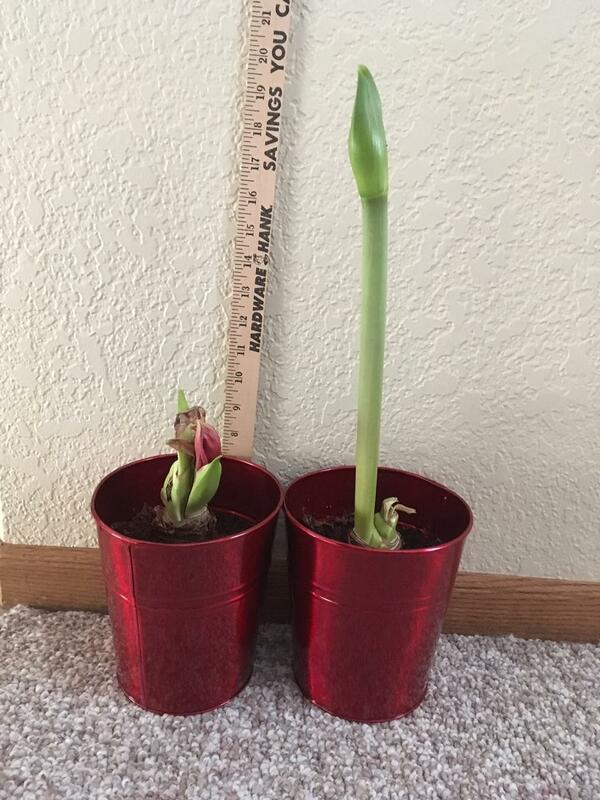 The bulbs were purchased and planted at the same time, yet one is clearly 20+ inches tall and the other barely 10 inches. The boxes stated the bulbs were guaranteed to bloom, and it appears that will clearly happen. 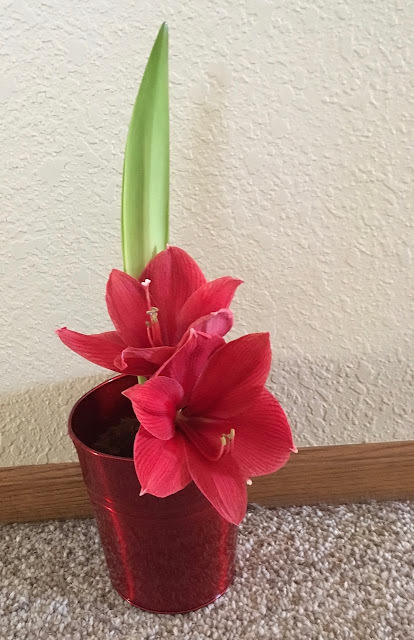 However, until this year, I have never seen an amaryllis bloom without a tall stalk. Have you? 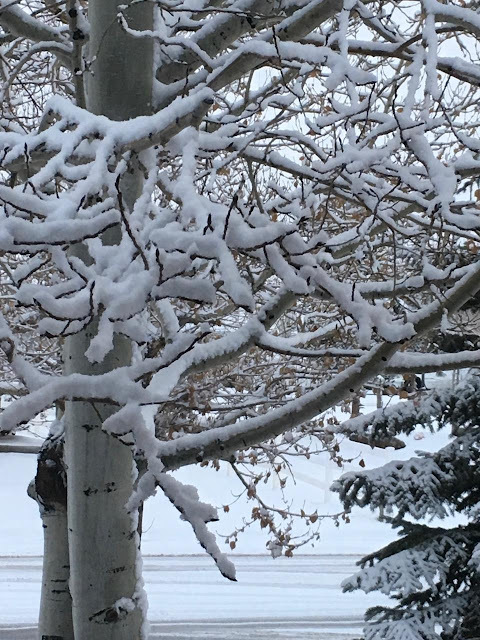 It's Pretty, but . . . I think this white stuff is planning to stay for a few months. I finally have enough of the Ritzy Cracker blocks for a quilt top. 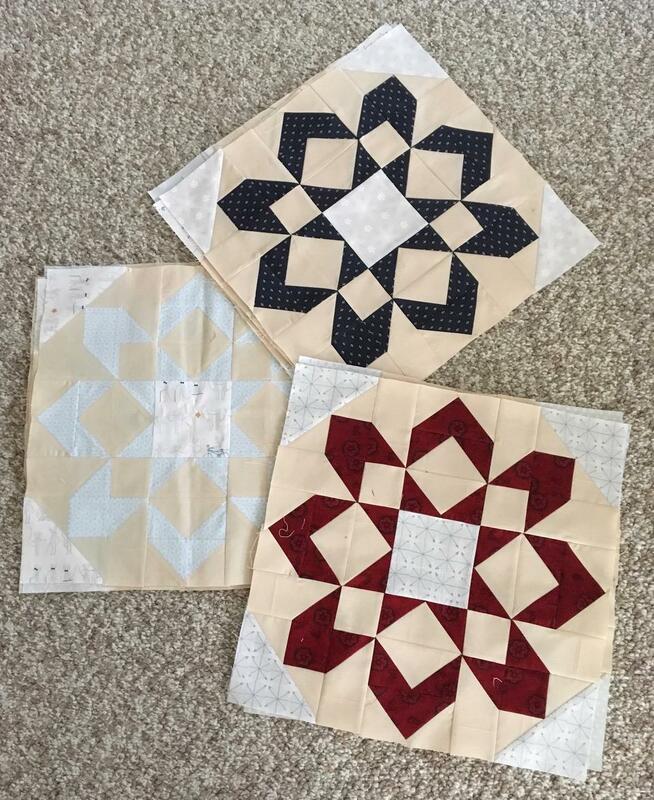 I hope to get the quilt finished this week. There's a good reason the cowl was not finished last summer - my stitch count kept getting messed up. Last week, I decided to finish this project. I knit the dark blue section and the stitch count is still not correct. No one on Ravelry reported a problem with the pattern, so I must be doing something wrong. It was too frustrating to finish, so I frogged the project. I found another pattern and began to knit. Oh yeah, see the problem at the bottom of the photo? 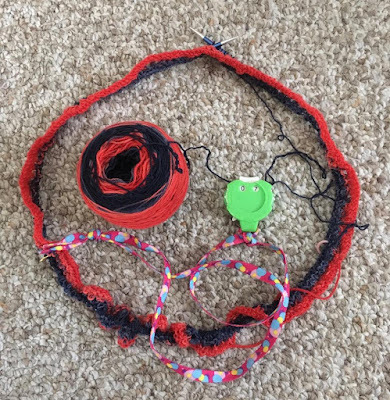 Yep, I twisted the stitches. Soooo, another frogged project. Clearly this lace weight yarn does not want to become a cowl. It's going into a forced time-out.